Arizona Auto Week is approaching fast and this year should be one of the best ever! Be sure to check out all the top auctions in the valley. Russo and Steele Collector Automobile Auctions returns to Scottsdale January 16 through 20, 2019, at the Salt River Fields at Talking Stick. Locally founded, owned and operated in Scottsdale, Ariz., Russo, and Steele has built a widely respected reputation as “The World’s Most Exciting Collector Automobile Auction” over nearly two decades. Every year since the auction’s debut, the event manages to attract the most complete collection of fine collector automobiles available anywhere during Arizona Car Week. The annual auction will feature its well-established “auction in the round” format with more than 800 cars crossing the block across the five-day event. Russo and Steele places buyers, sellers and enthusiastic spectators up close and personal with the very best in European Sports, American Muscle, Hot Rods and Customs. The event’s layout incorporates a premium concourse-style experience for attendees, designed to showcase the auction’s remarkably diverse range of high-quality offerings. The Main Auction Pavilion is on 100 percent hard surface asphalt, boasting a 13,000 square-foot space and a state-of-the-art climate controlled Vendor Pavilion. The pavilion hosts more than 130 vendors — including a food court-style seating area for the Food Truck Showcase, a jumbotron streaming the live auction and direct access to the Main Auction Pavilion with all of the action. 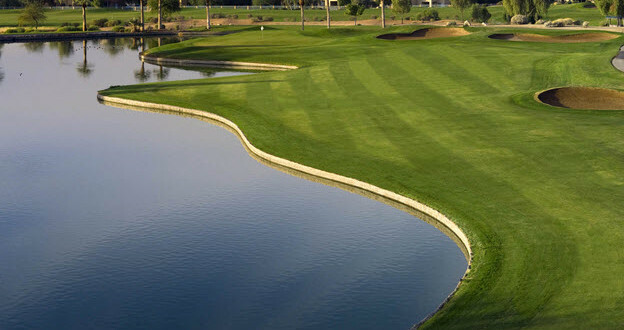 Salt River Fields at Talking Stick’s highly centralized and easily accessible location, right off the Loop 101 puts Russo and Steele directly at the epicenter of all the action during Arizona Car Week. Russo and Steele feature some of the most exclusive, select and diverse automobiles available anywhere in the world. 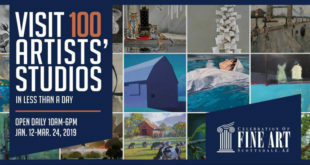 Wednesday, January 16, is preview day and gates open at 9 a.m. until 5 p.m. Thursday, January 17, through Saturday, January 19, gates open at 9 a.m. for preview viewing and the auction begin at noon. On Sunday the gates open at 9 a.m. and the auction begins at 11 a.m. General admission is $30 Wednesday through Saturday and just $20 on Sunday. Bidder registration for 2019’s auction is just $250 and includes admission for preview day as well as all four days of Auction in the Round action for the bidder and one guest. Additional guest passes are $75. For more information about Russo and Steele or how to register, visit www.russoandsteele.com. Probably the most well-attended car auction in the Valley of the Sun, Barrett-Jackson offers an affordable ticket that’s suitable for families. 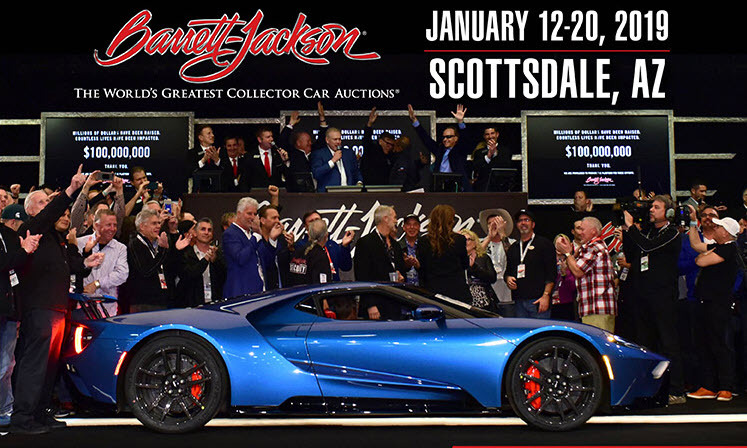 The Barrett-Jackson Auction Company is one of several classic car auction companies that conduct a public auction in Arizona each winter. At the Barrett-Jackson Classic Car Auction, even the most serious collector will find enticements in the form of some of the most exclusive vehicles available at auction. 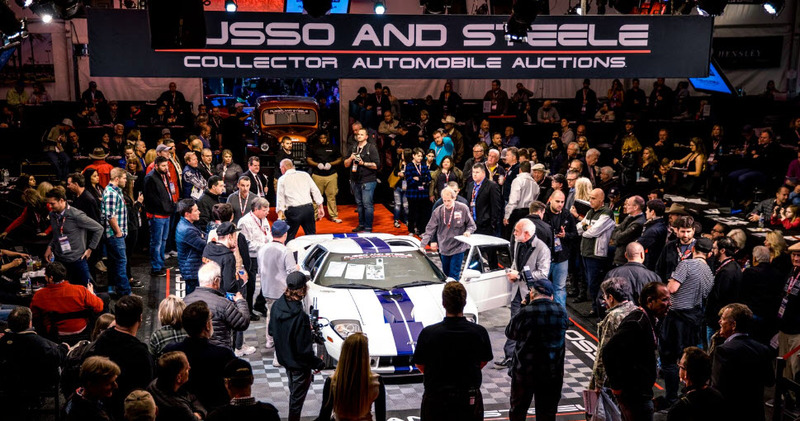 The Barrett-Jackson Collector Car Auction in Scottsdale will take place over eight days incorporating special events, displays, and activities. The auction will feature more than 1,000 collector and special interest automobiles from all years being auctioned off at No Reserve, as well as daily “automobilia” auctions. Over 350 vendors and exhibitors will also be on hand. You can also just attend the auction if you’d like a chance to see some of the Valley’s best cars. Bonhams’ 7th annual sale at the Westin-Kierland Resort & Spa in sunny Scottsdale, Arizona, saw throngs of people grace the green lawns and auction tent to view an impressive and diverse selection of hand-picked cars cross the auction block. Bonhams is a privately owned British auction house of fine art and antiques. In 2017 at Bonhams, a 1964 Porche 904 GTS brought $2.3 million. In addition to classic cars, the Scottsdale auction includes collector books and automotive-related collectibles. With a nearly 90% sell-through rate resulting in over $25-million in total sales, the auction was a definite success. Always kicking off the collector car auction season on a strong note, RM Sotheby’s returns to the vibrant grounds of the Arizona Biltmore Resort & Spa in Phoenix, 17–18 January, for its 20th annual Arizona sale. Our 19th annual Arizona auction was one for the books, generating a final sales total of $36,523,620, with 88 percent of all lots sold. Attracting bidders from around the globe, the company’s 19th annual Phoenix sale was a truly global event, once again illustrating that Arizona is the epicenter of the collector car world in January. Following a very well-attended outdoor preview, the packed auction room saw high energy and spirited bidding across the two-day event, with top sale honors going to the 1966 Shelby 427 Cobra ‘Semi-Competition,’ CSX 3040. Offered from an esteemed private collection and just four owners from new, CSX 3040 is one of the finest semi-competition examples in existence and has benefitted from a restoration by leading Cobra expert Mike McCluskey. The matching-numbers Cobra eventually soared past its pre-sale estimate of $2,000,000–$2,400,000 to bring a final $2,947,500. 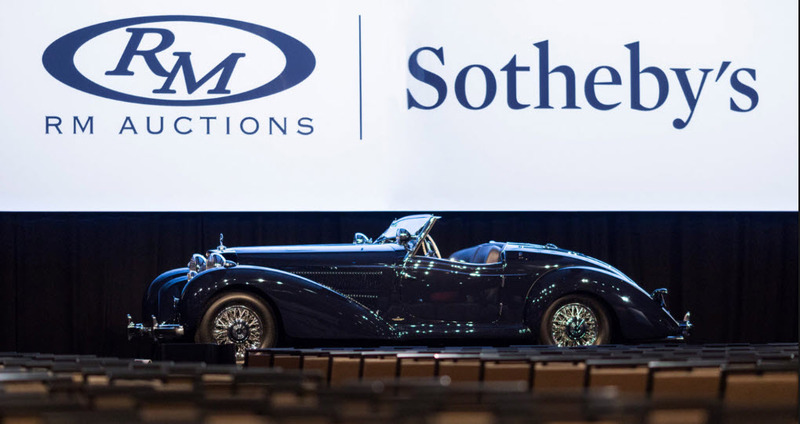 RM Sotheby’s 2019 Arizona sale is set to continue the company’s strong track record in Phoenix, presenting more than 100 blue-chip automobiles from the world’s most iconic marques. Hand-selected by RM Sotheby’s international team of specialists, the catalog will span the spectrum of the market, from pre-war classics and contemporary supercars through important sports and racing cars. With over 35 years’ experience, RM Sotheby’s is the market leader in the collector car hobby. Our international team of expert Car Specialists, coupled with our in-house Research, Creative, Marketing, PR, and Client Service teams, provide an unsurpassed level of service in the global collector car market. Joining Rice in the new auction endeavor is Jason Rose, former VP of Operations at Barrett-Jackson; Rodney Stokes, who has served alongside Emmett in the collector car industry for many years; John Dales, car enthusiast, and Client Services Representative; and Emmett’s son Ian who serves as Marketing Director. 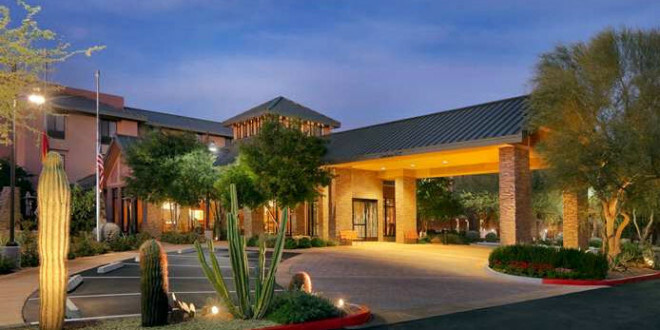 The home office of Silver Auctions Arizona is located in Deer Valley.